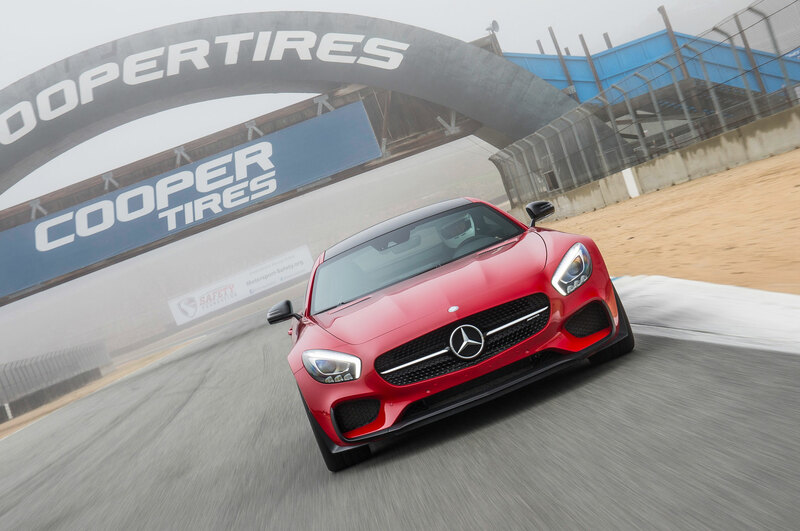 CARMEL VALLEY, California – Few racetracks have a sense of place like California’s Laguna Seca. 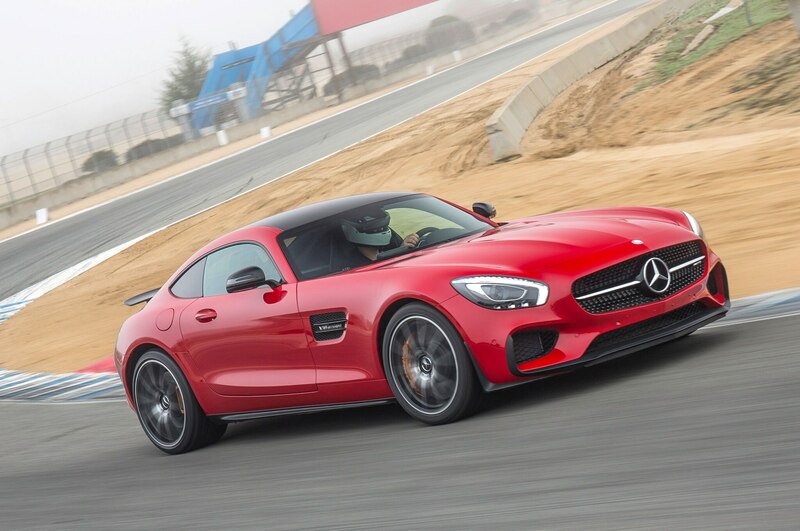 You exit the two-lane Monterey Salinas Highway and rise up into the hills like a heavenly ascension. 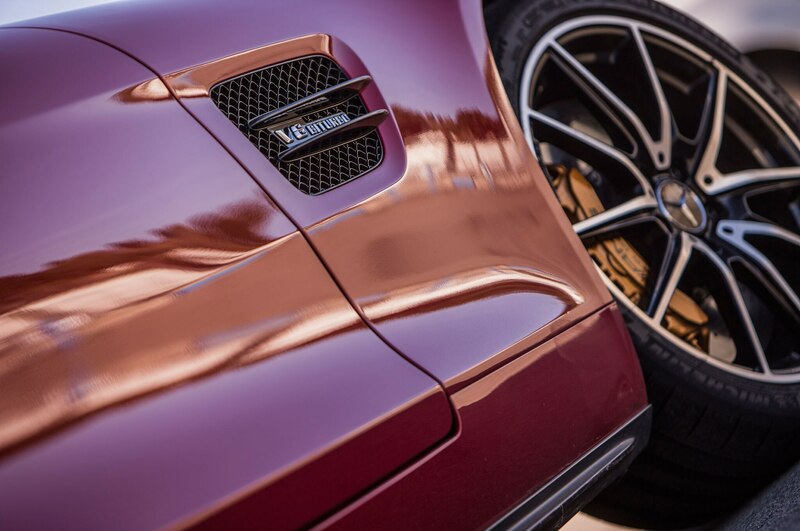 Reach the top and take in the rolling, glorious panorama. 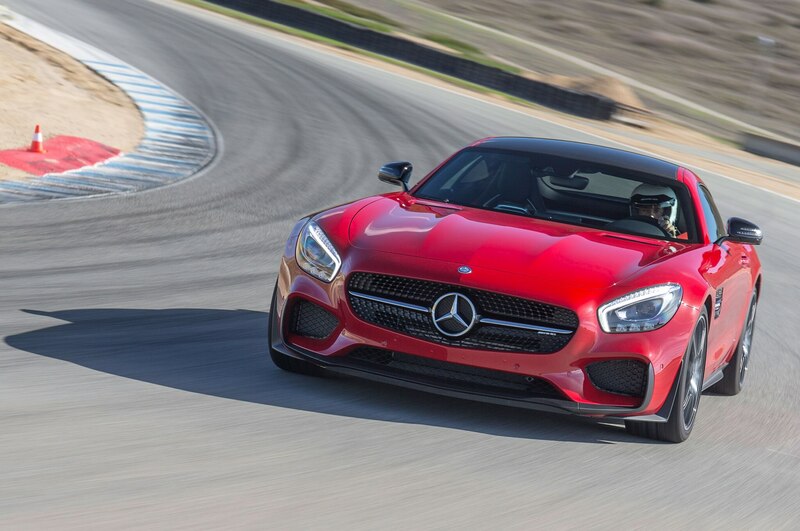 It was one hell of an idea to lay a 2.2-mile track in this cradle of tumbling topography. 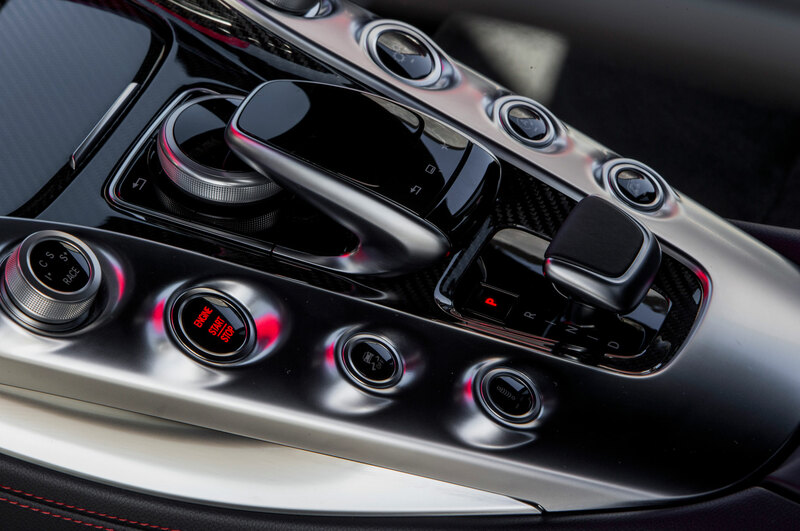 The engineers who designed it more than 55 years ago were lightning-struck by brilliance. 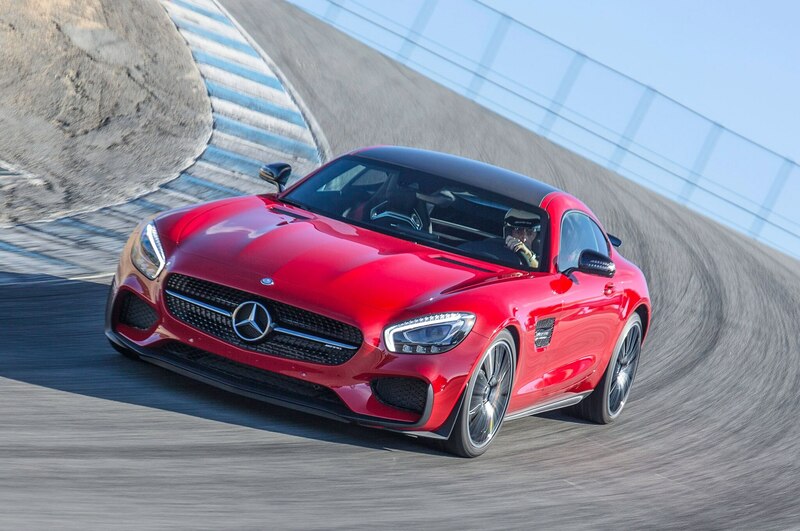 What compels a man to build a thing that is expressly meant for speed, to devote himself to something so impractical, so out of kilter with more regular pursuits? 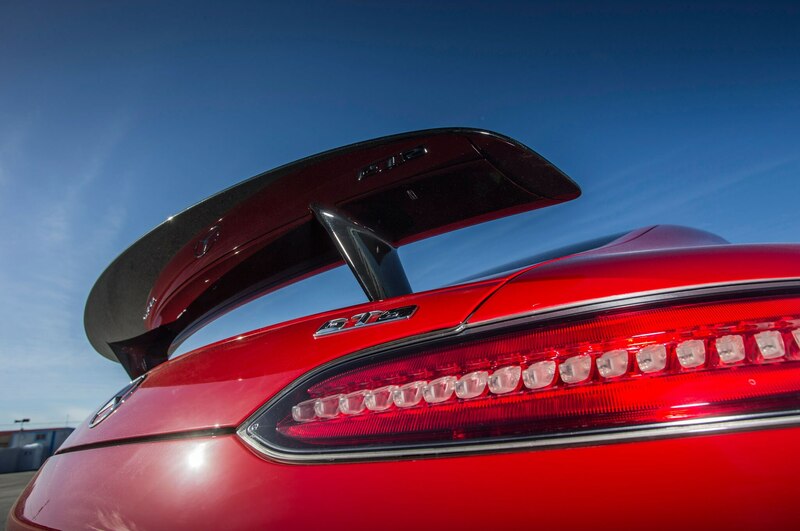 You could pose the same query to the people at AMG. 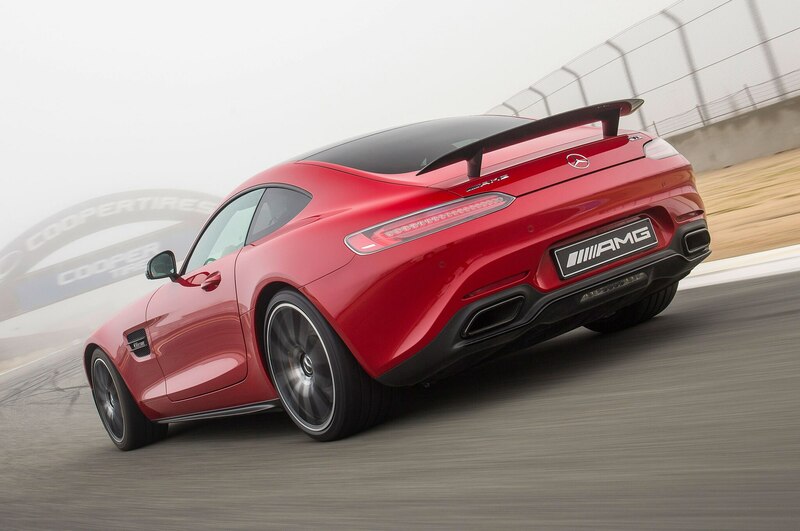 One might ask Tobias Moers why the world needs another sports car. 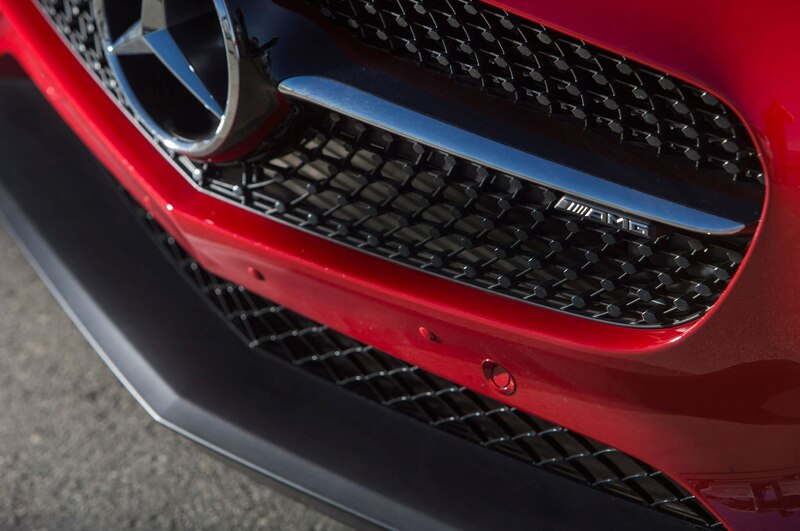 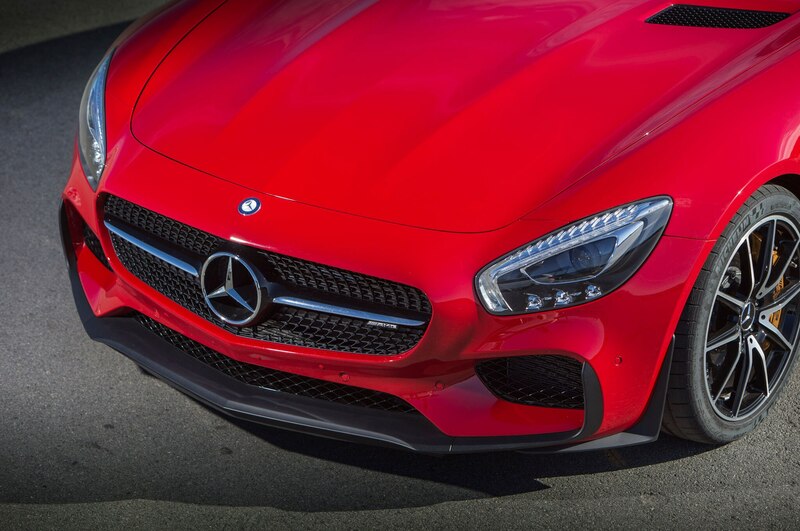 Moers, the CEO of Mercedes-AMG, would likely respond with his patented, deep-browed, steely glare. 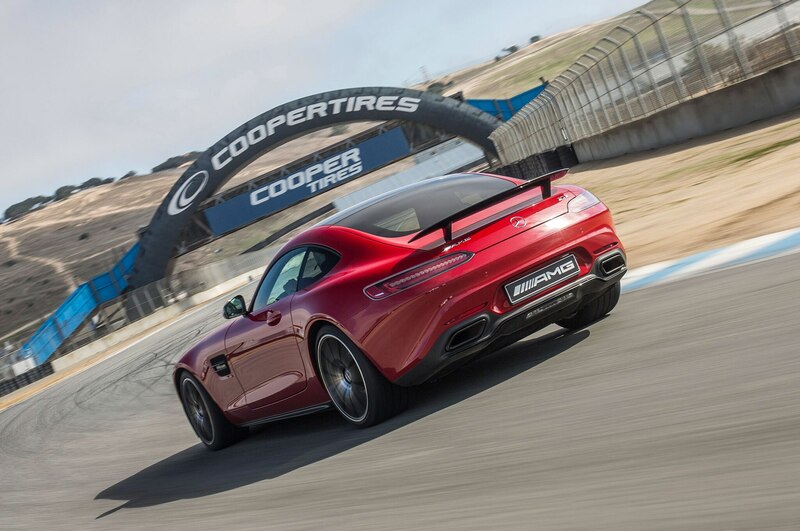 There is no answer to such a question, but there is a rejoinder: because there are still places like Laguna Seca. 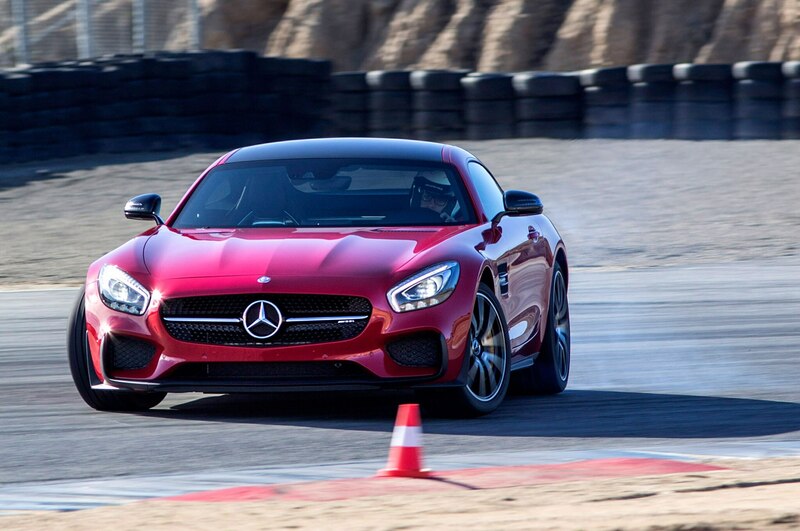 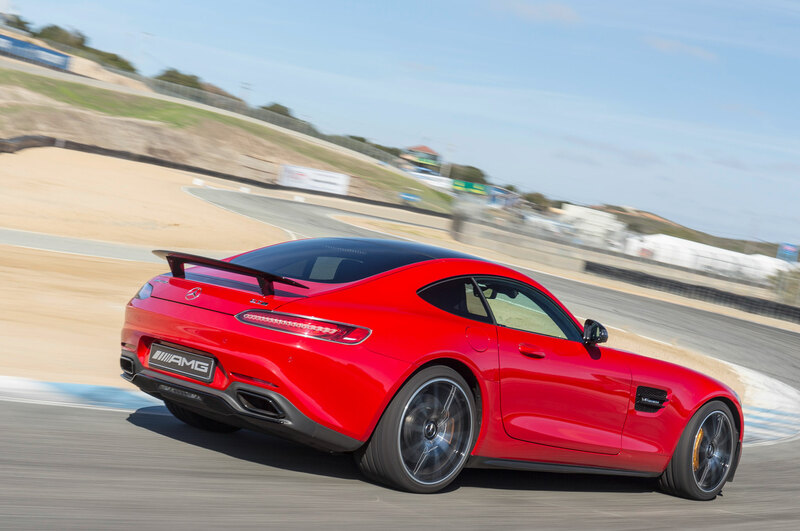 And so I felt a sense of occasion as I drove the 2016 Mercedes-AMG GT S down the entrance road from the brow of the hill overlooking the track and into the dry lake bed where the circuit was built. 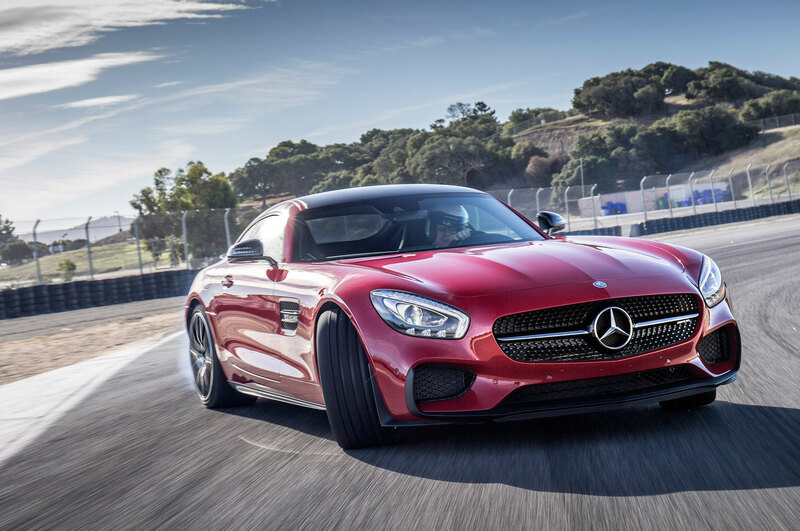 There’s a through line of both purpose and deed that spans the creation of Laguna Seca and the AMG GT S. Both sets of engineers shared the belief that the pursuit of speed and competition was worthy of time, intellect, and care. 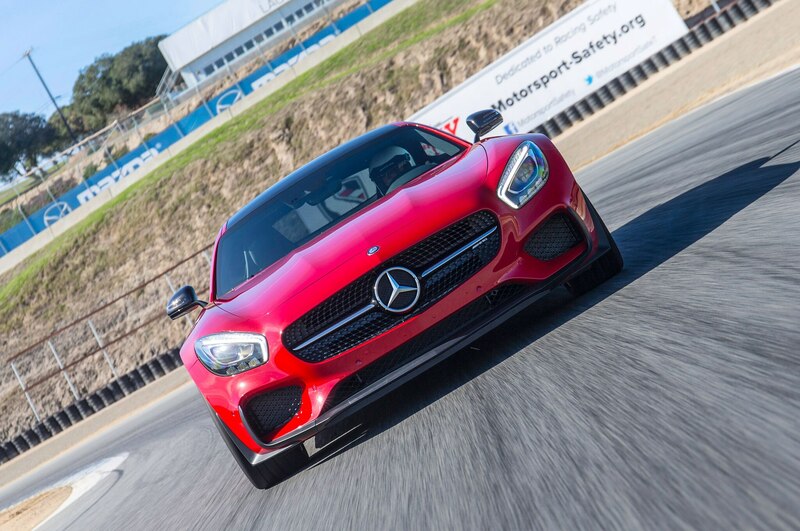 I felt ludicrously lucky to reap the rewards as one of the first drivers to pilot the 2016 Mercedes-AMG GT S at Laguna Seca. 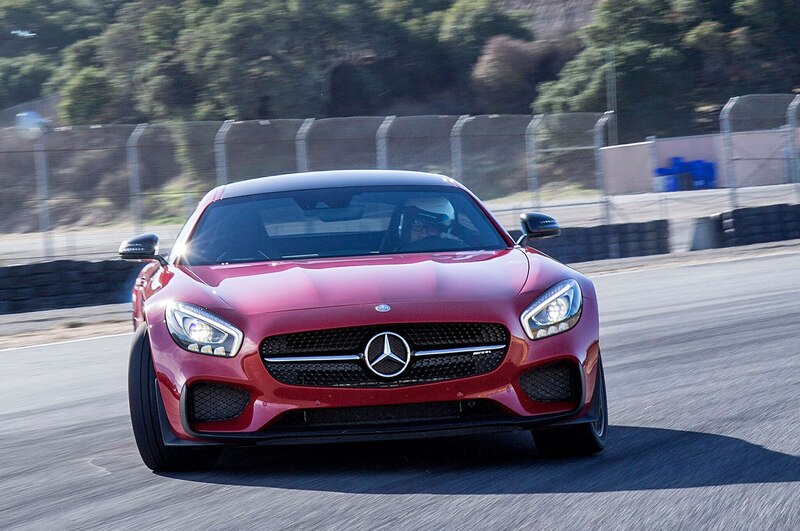 It would have been less of a moment if I weren’t so taken with the car. 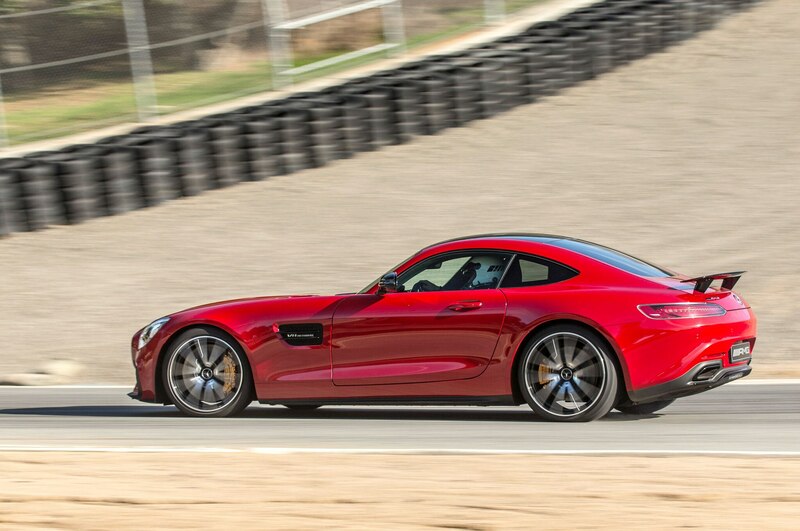 When I first saw pictures of the Mercedes-AMG, I wasn’t sure. 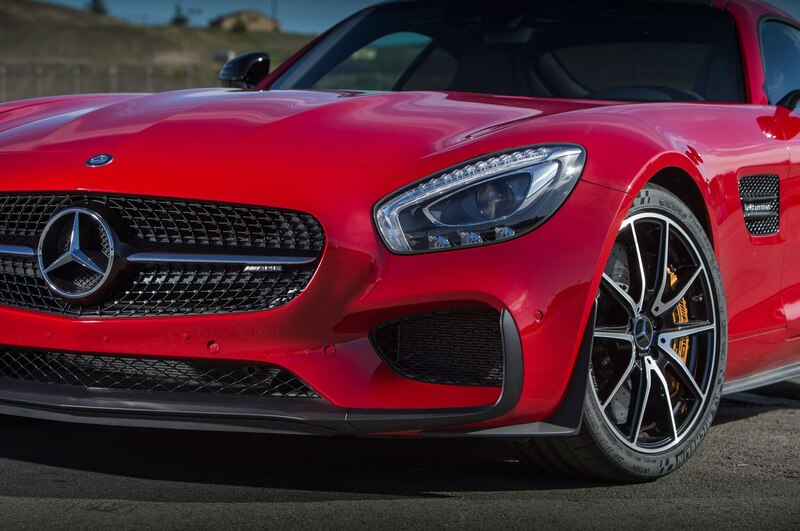 It was handsome but maybe a bit impersonal. 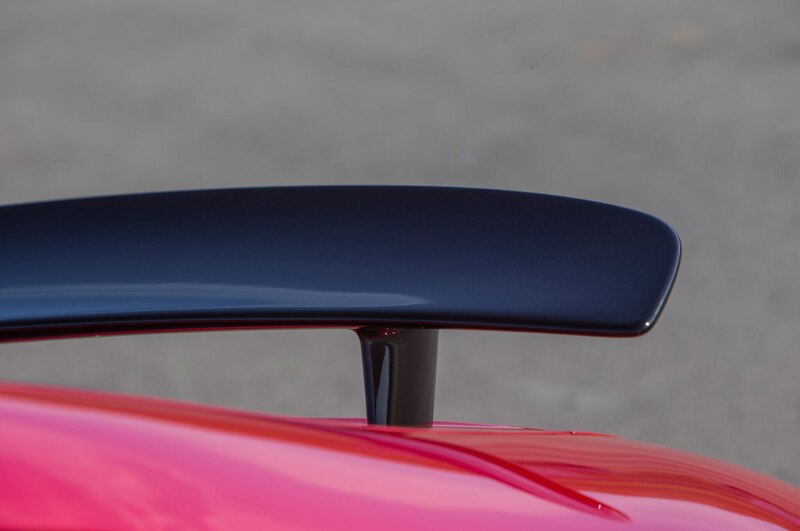 In the flesh, the design is in fact very moving, a cogent sweep from the rear into the bullet nose. 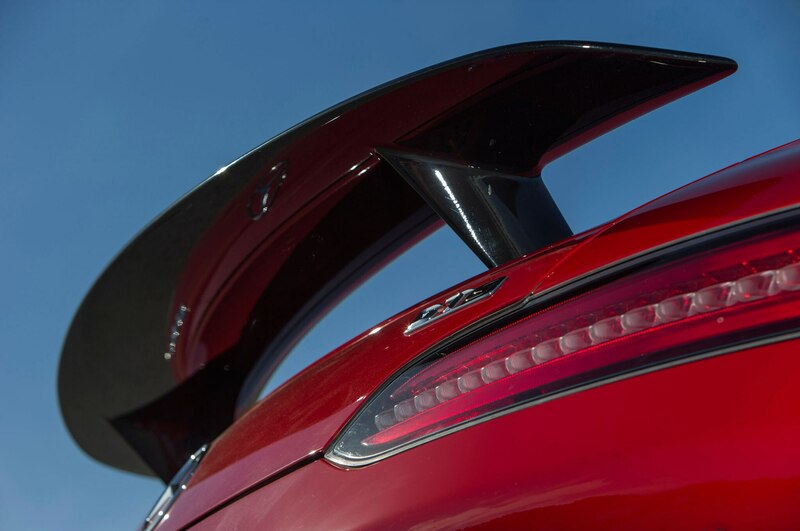 It has stage presence to burn, needing neither gullwing doors nor acres of sheetmetal to achieve it. 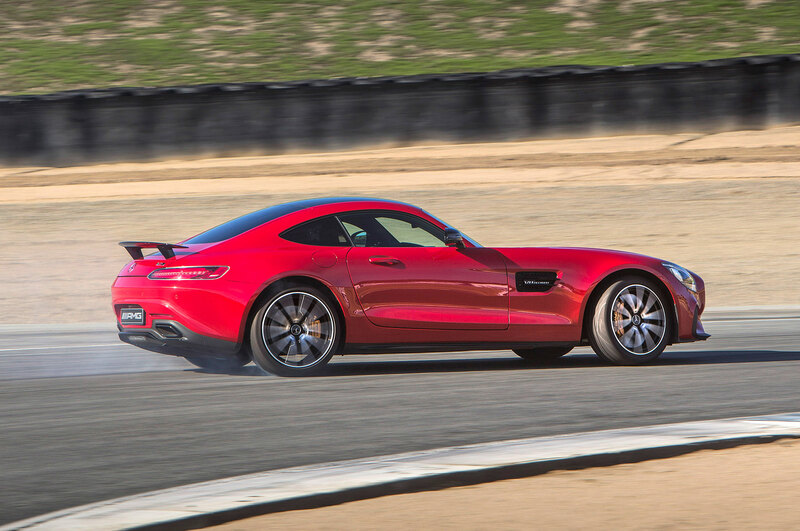 While it shares much with the SLS, the 2016 Mercedes-AMG GT neither looks nor drives like a baby SLS. 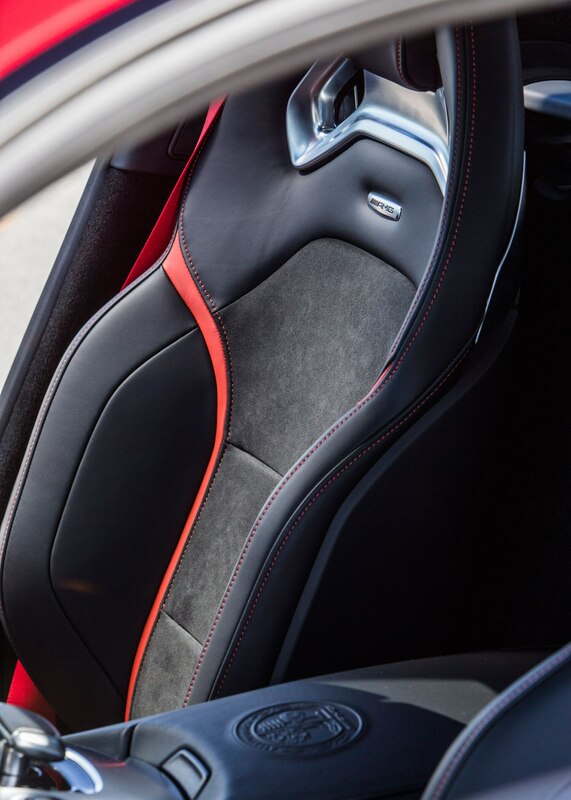 The interior shows an advance in thinking, with a better flow and an even deeper seating position. 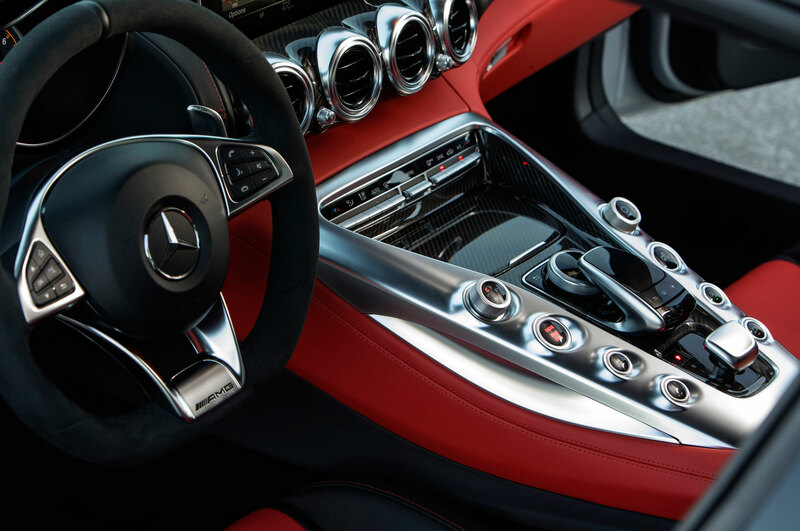 The beltlines are even higher on the GT than they were on the SLS (and that’s saying something), and the sightlines are arguably worse (also saying something), but there’s far more drama to this cockpit. 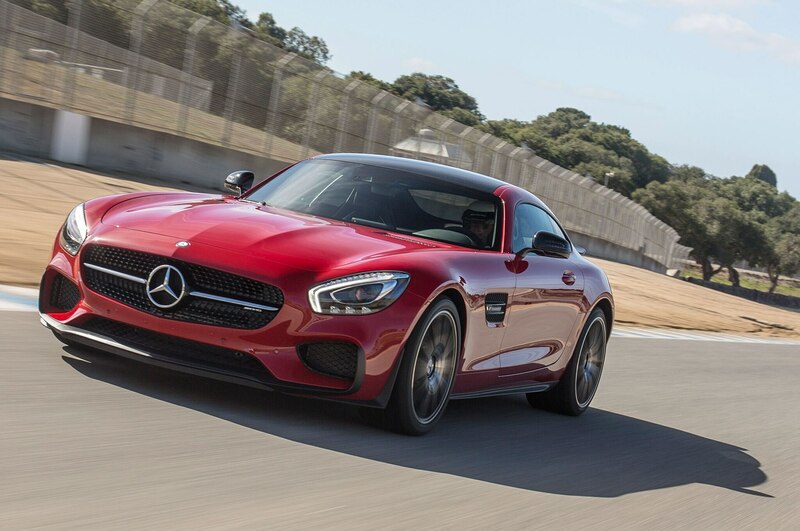 The 2016 Mercedes-AMG GT S feels alive in that almost imperceptible, shimmering way of a great sports car. 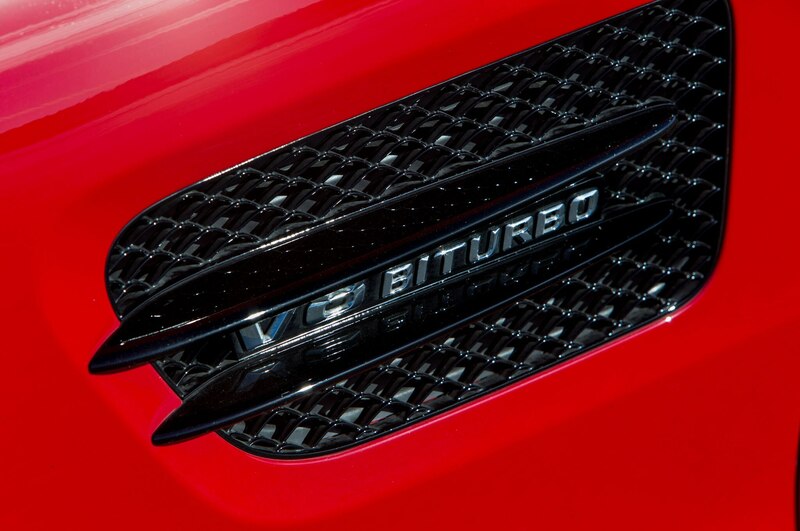 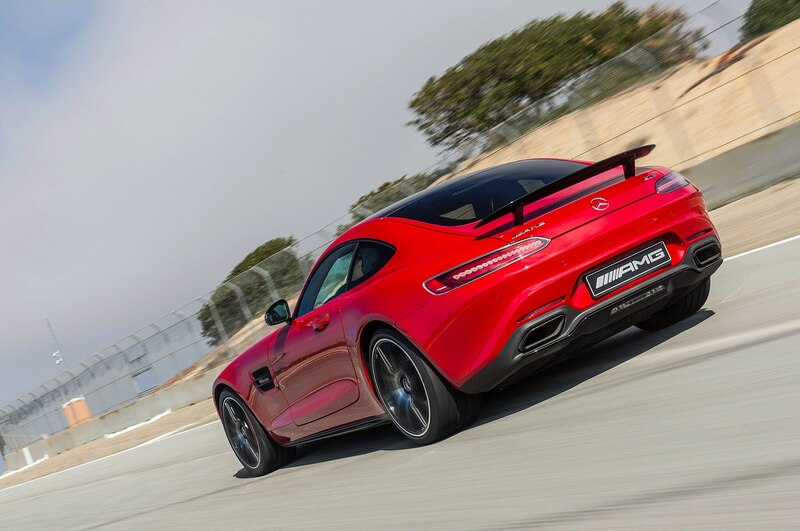 The machine gives off a visceral hum when the 4.0-liter twin-turbo V-8 is ignited. 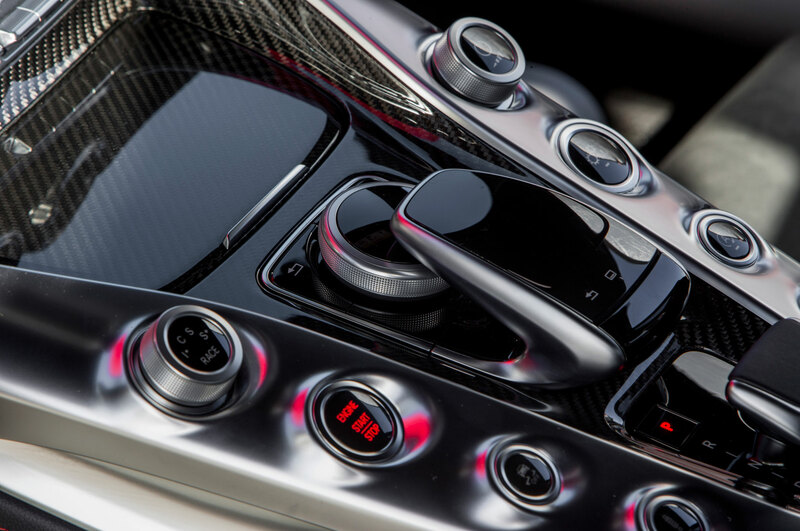 The car demands to go, go, go, and from the first flick of the steering wheel, I was enamored. 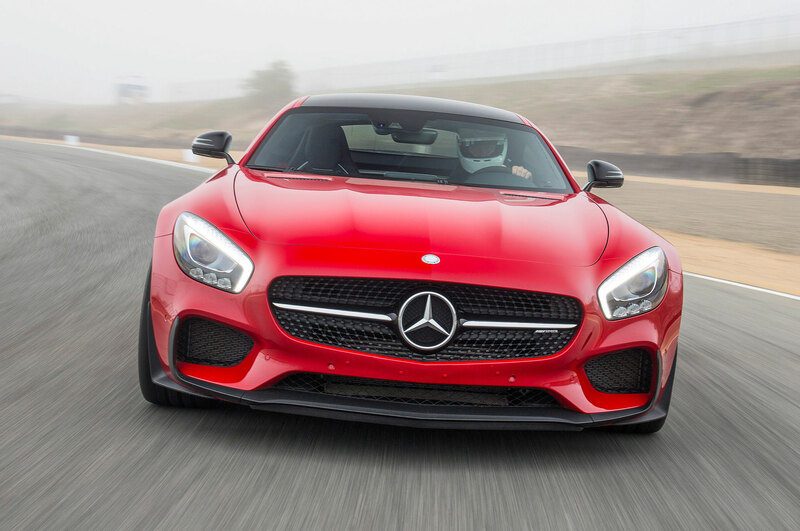 The steering, balance, and engine — everything reinforces the singular message that the people who created this car believed in what they were doing. 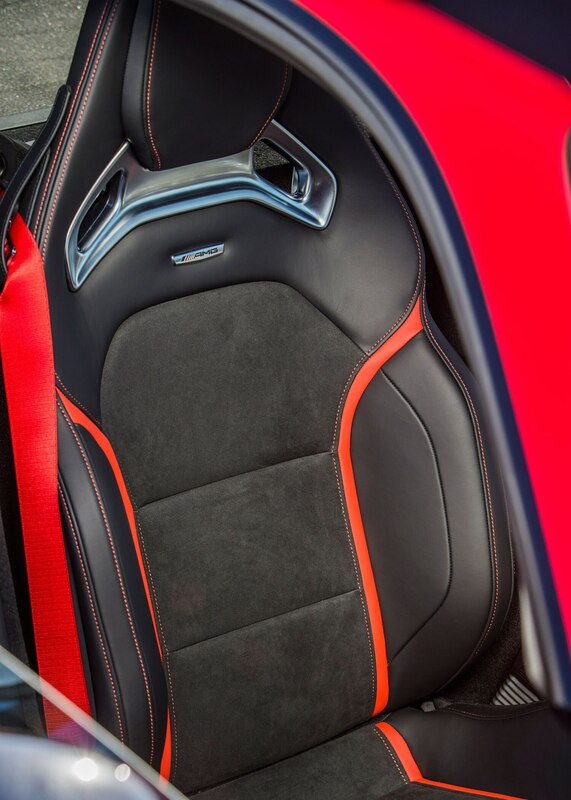 It takes cojones to launch a new car in this space. 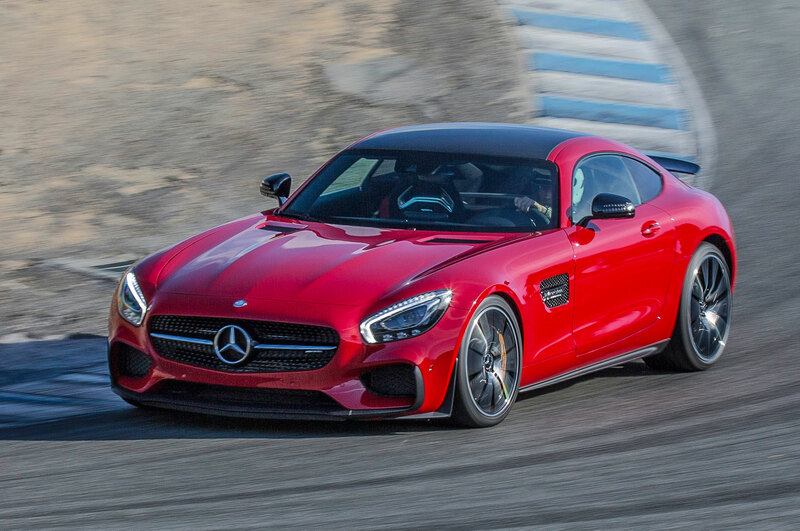 The top-dog GT S, which makes 503 hp, will cost between $130,000 and $140,000, brushing up against cars such as the Porsche 911 Carrera 4 GTS and the Audi R8. 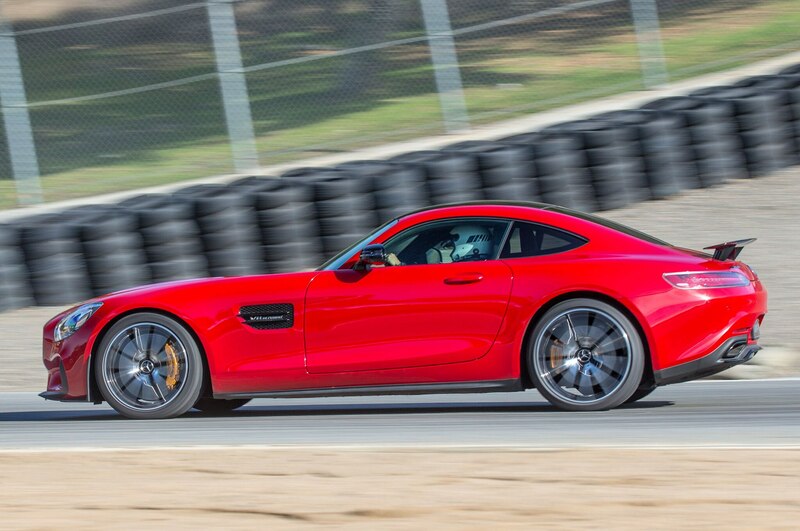 The less expensive 456-hp GT won’t be out until later in 2015, but its lower price point is even more crowded. 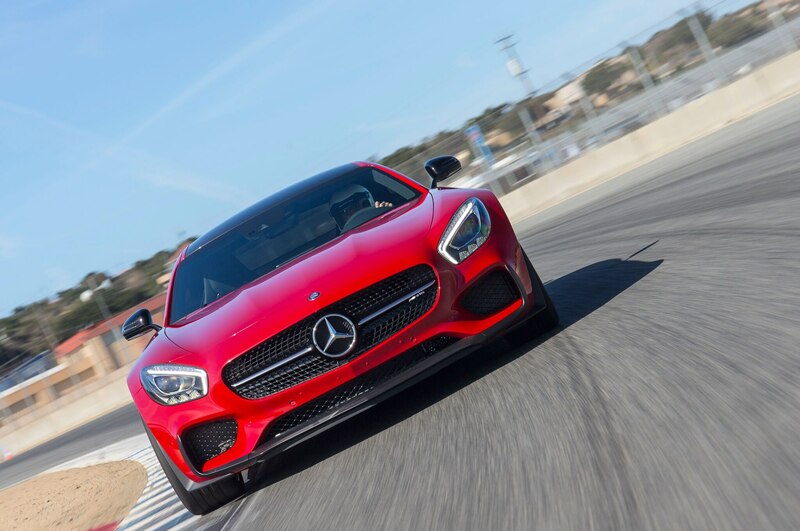 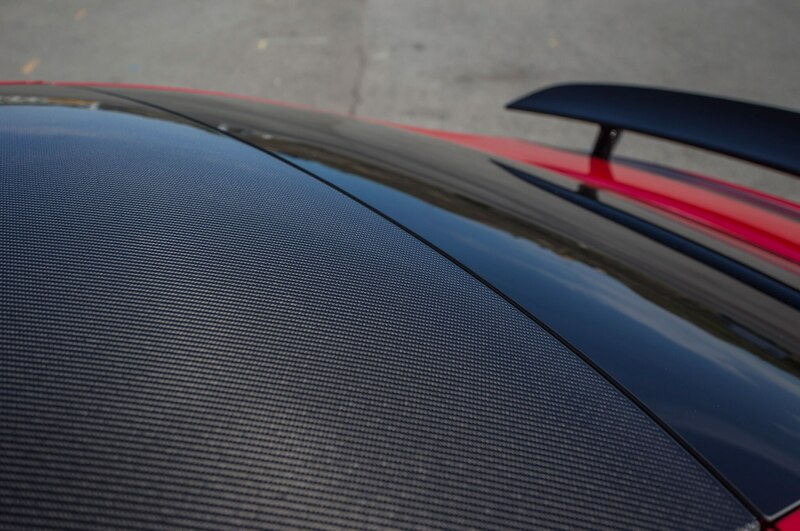 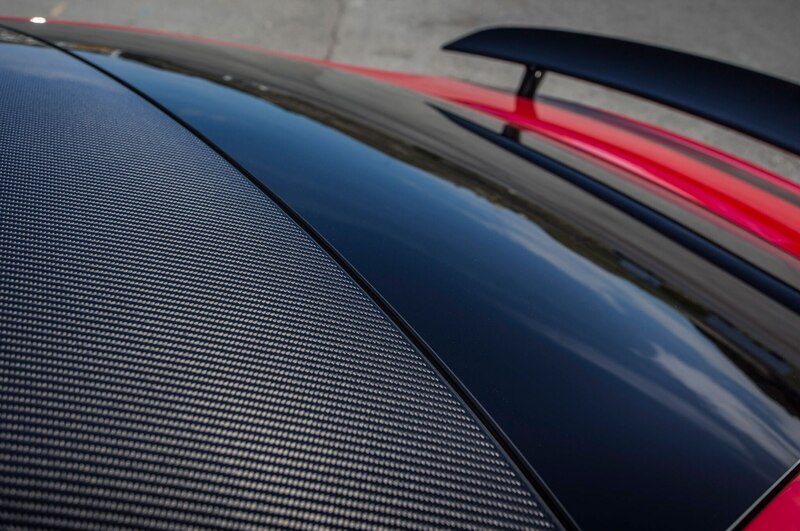 At Mazda Raceway Laguna Seca, I had the GT S model with a track package that includes a fixed rear wing, a carbon-fiber roof, and optional carbon-ceramic brakes. 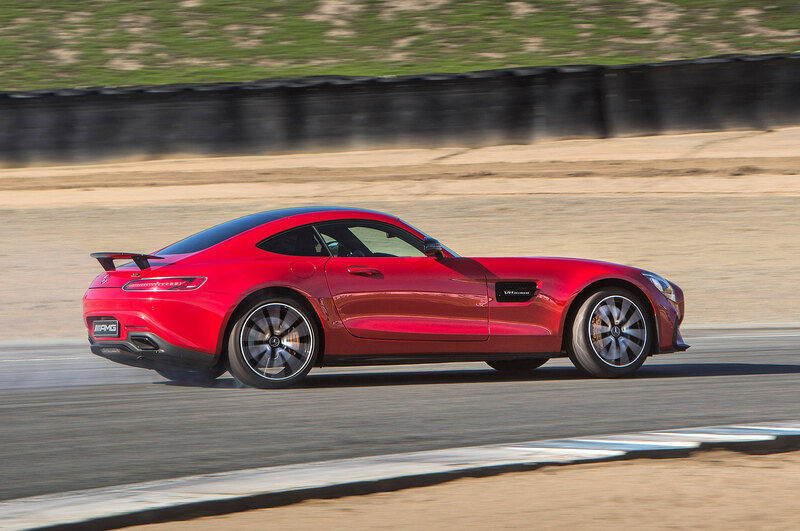 I’ve driven all kinds of cars at Mazda Raceway, and your first hot lap always speaks volumes. 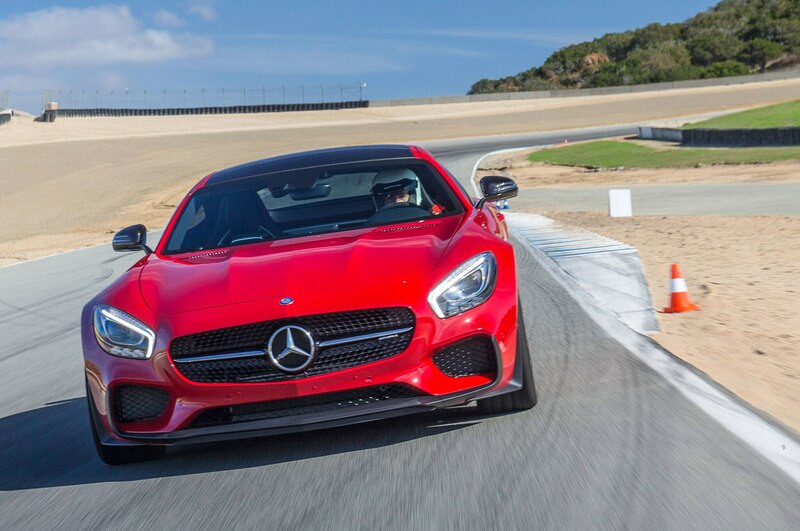 The turn at the end of the front straight is the track’s slowest, a second-gear corner, and getting power to the ground is essential for the long and scary sling up the brow of Turn 1. 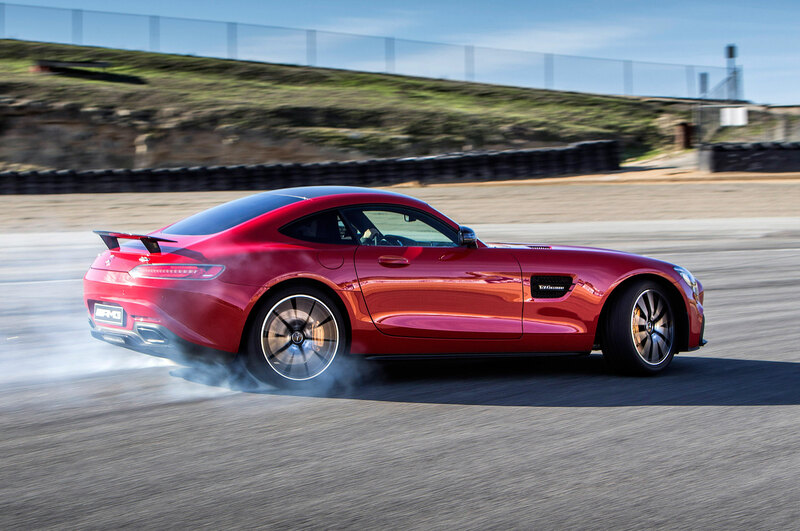 As I straightened the wheel and coaxed the throttle, I realized the car already had the traction it needed. 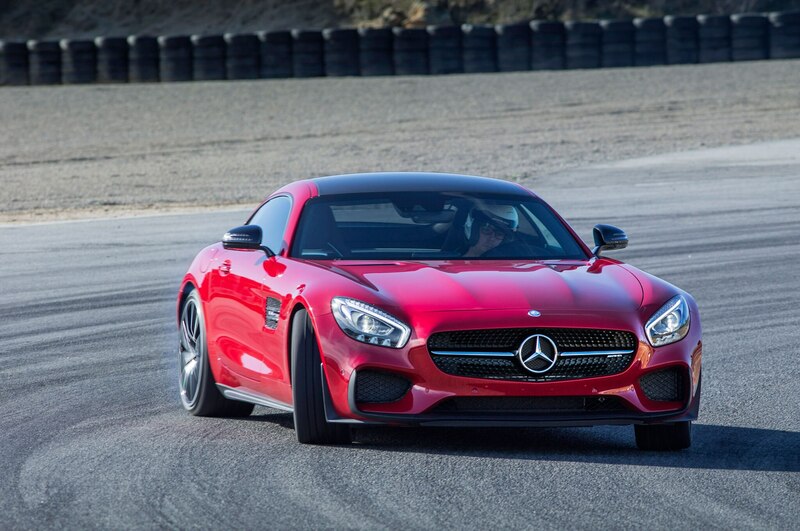 I flattened the pedal, and it simply went. 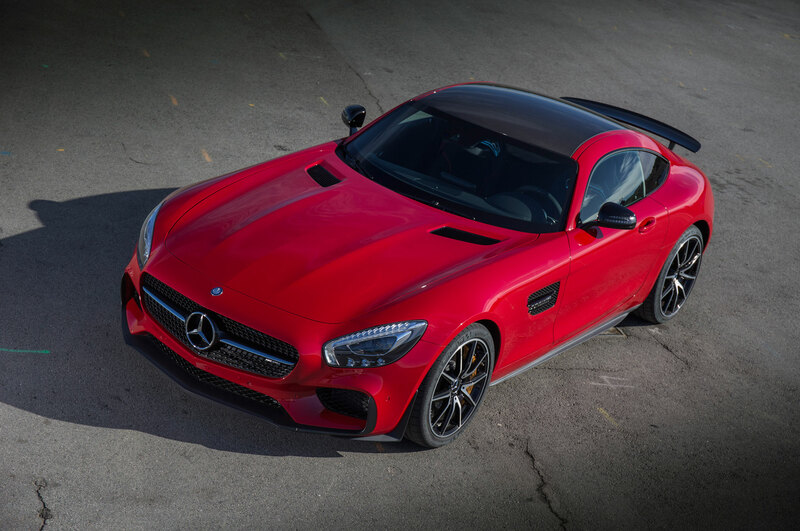 The engine makes 479 lb-ft of torque, and the 2016 Mercedes-AMG GT S comes standard with an electronic locking differential. 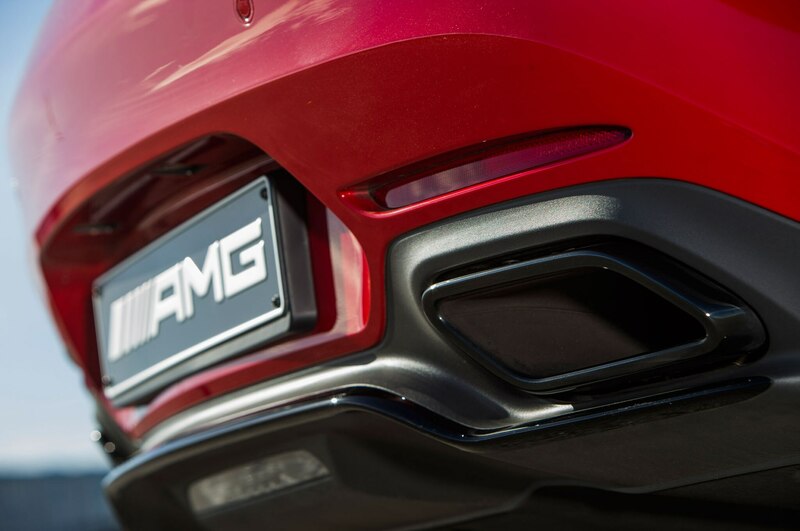 It’s nearly magical in its ability to put the power down whenever you ask it to. 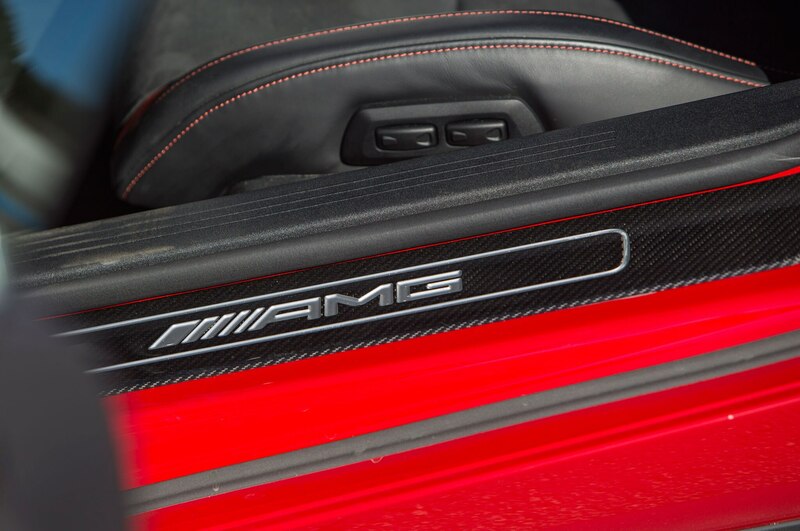 This meant I was carrying a worrisome head of steam as I crested the top of the hill. 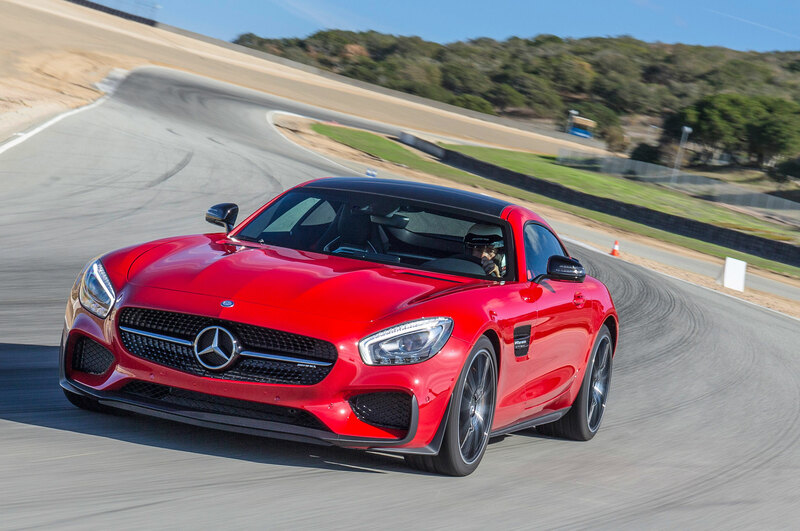 I’d lament the demise of the great 6.2-liter AMG V-8, but the all-new 4.0-liter, which has its turbos inside the cylinder banks for compactness, didn’t give me much cause. 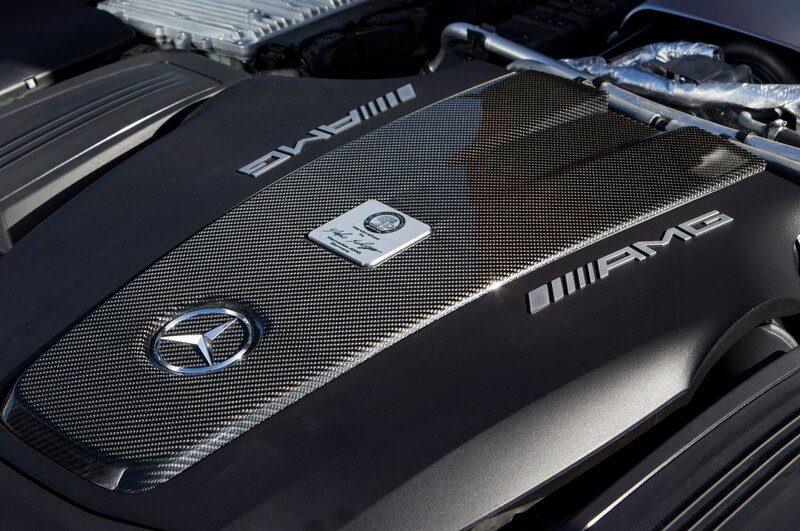 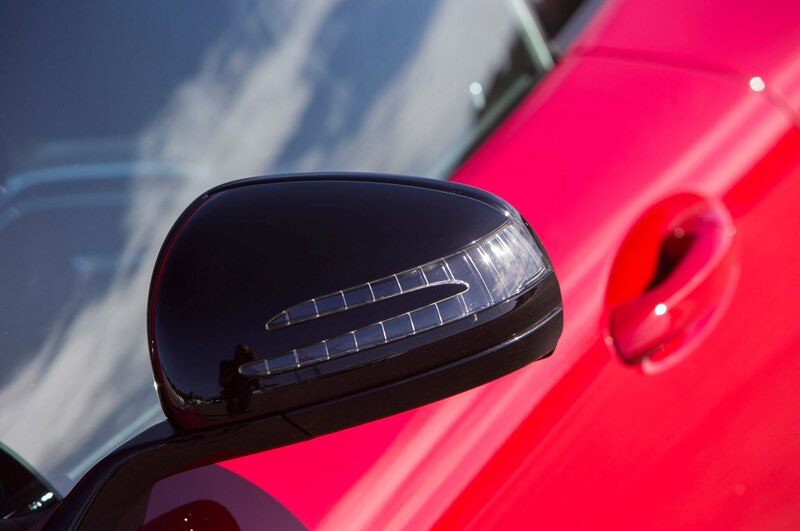 Power is delivered in a crisp and linear manner, unlike some super-torquey turbo engines. 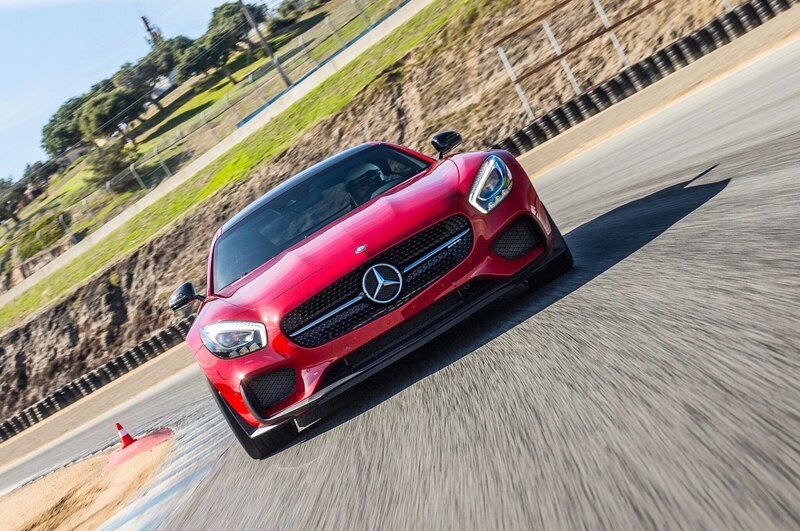 Max engine speed is 7,200 rpm, but the GT S runs out of the good stuff by 6,800. 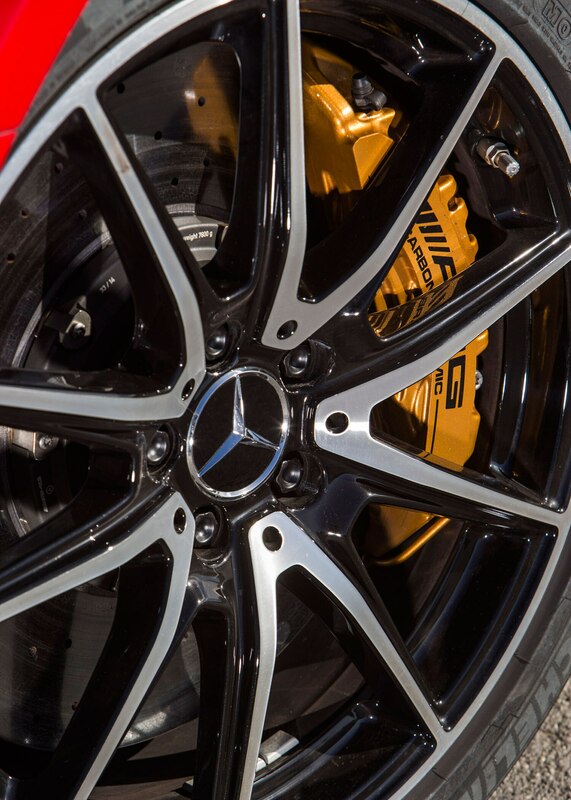 Remember to upshift on time when the seven-speed transmission is in manual mode—or pay the stuttering, sputtering price. 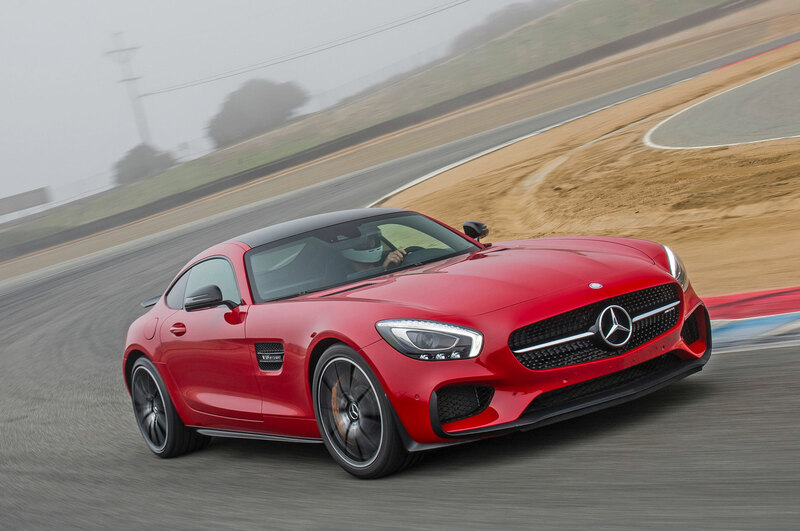 and ones will one day duplicate the experience of hydraulic power assist. 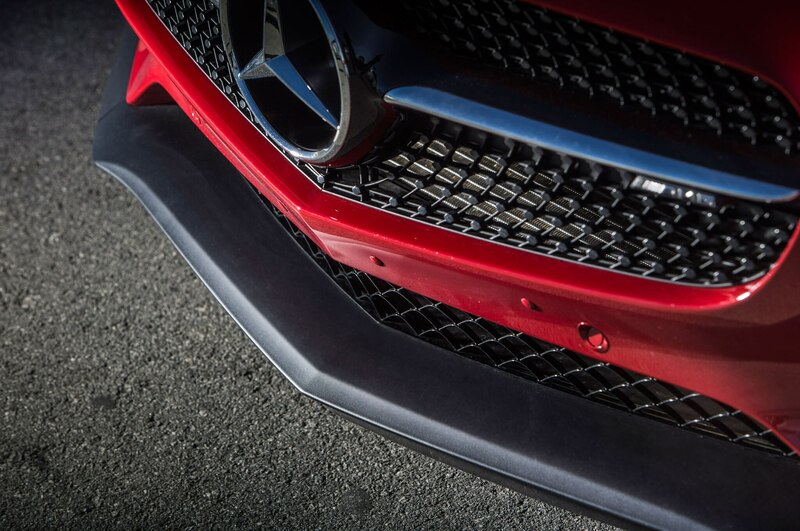 The balance (47/53 percent front to rear) is also stellar. 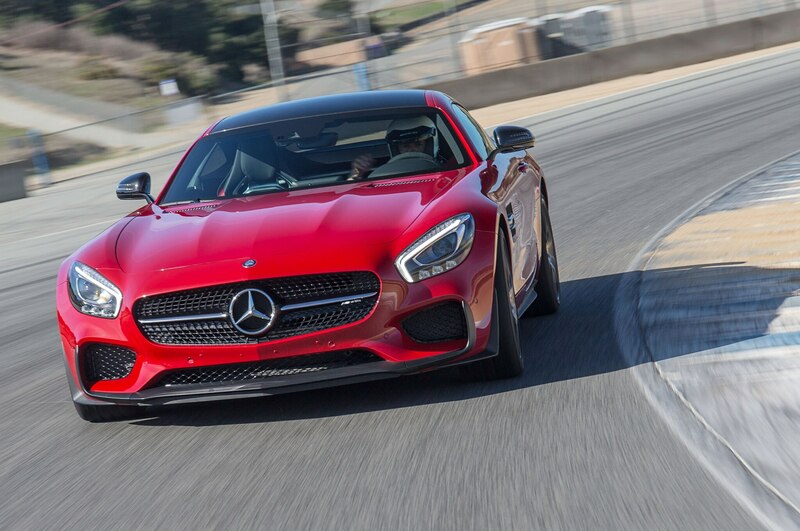 The car, so settled and smooth on back roads, allows a boatload of slip angle on the track in race mode. 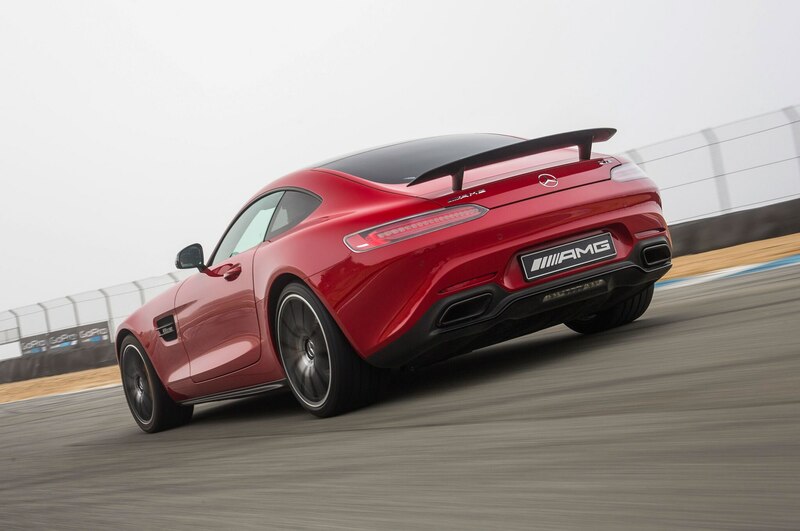 Trail brake or lift off the throttle, and the GT S rotates gradually from the hips. 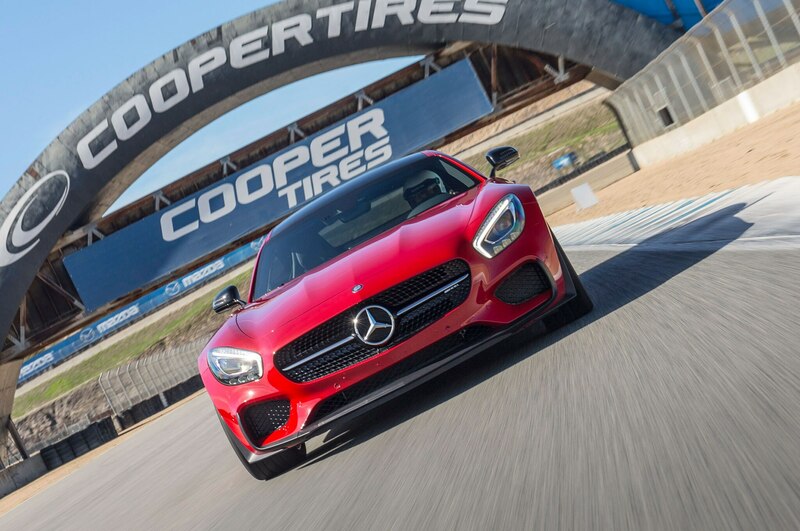 Wait too long to get back on the gas, however, and you’ll feel the rotation going too far, wanting to push you off track as if the Mercedes is caught in a centrifuge. 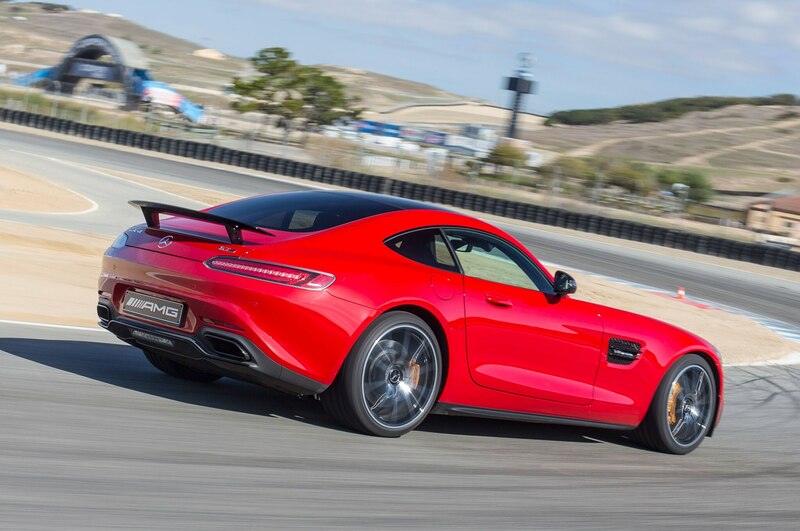 Blame the weight, the car’s true Achilles’ heel (and foot and leg and torso). 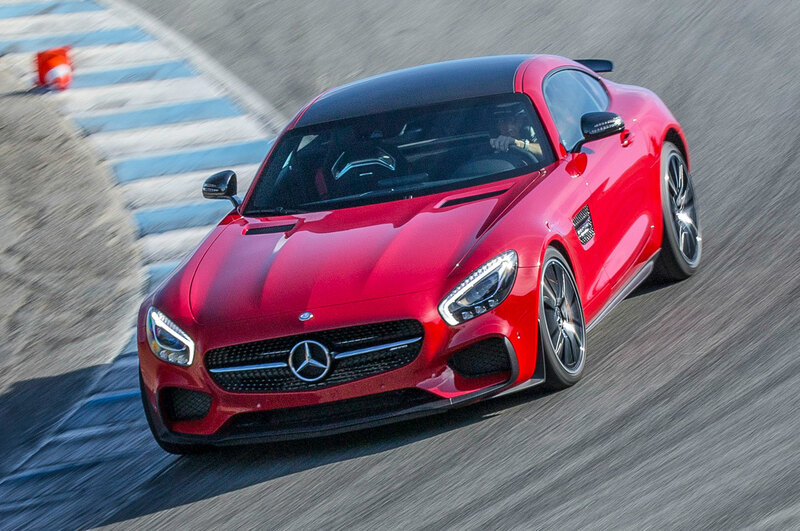 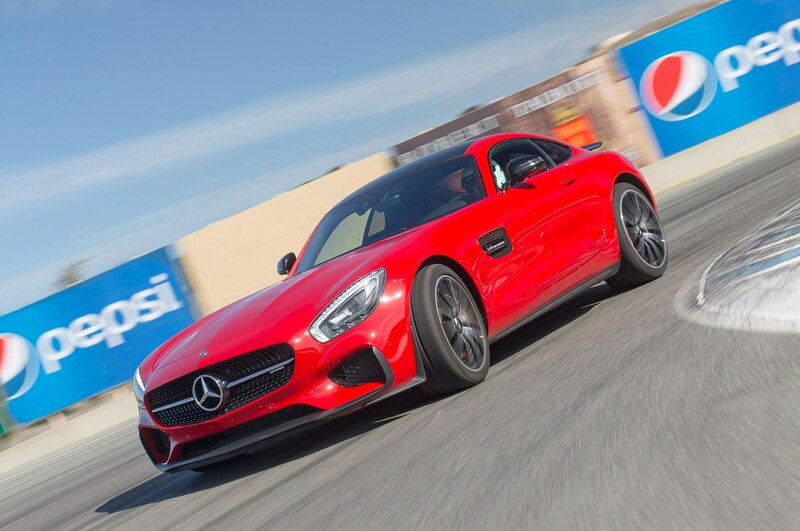 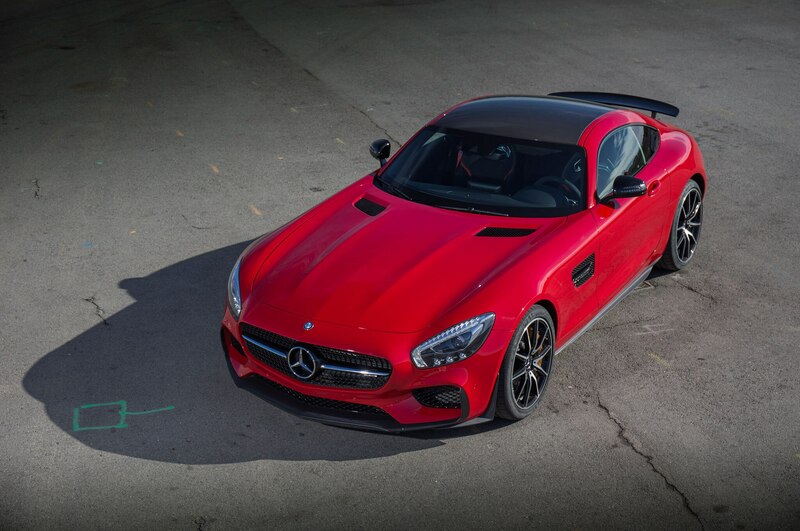 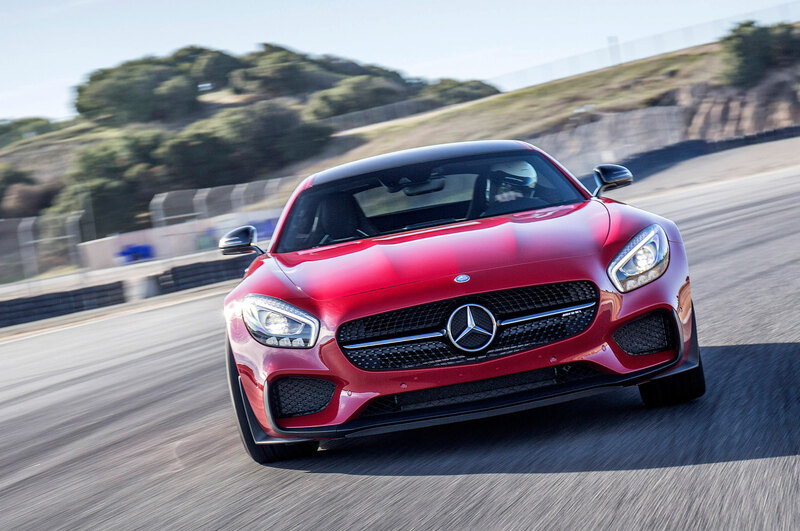 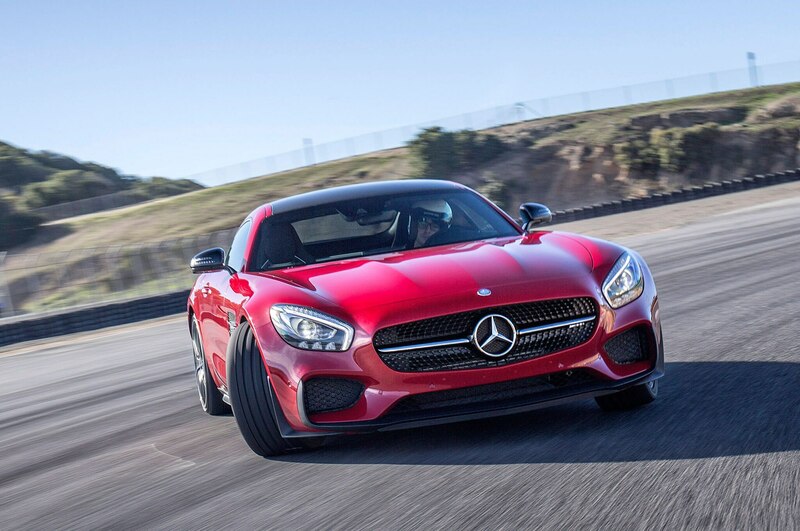 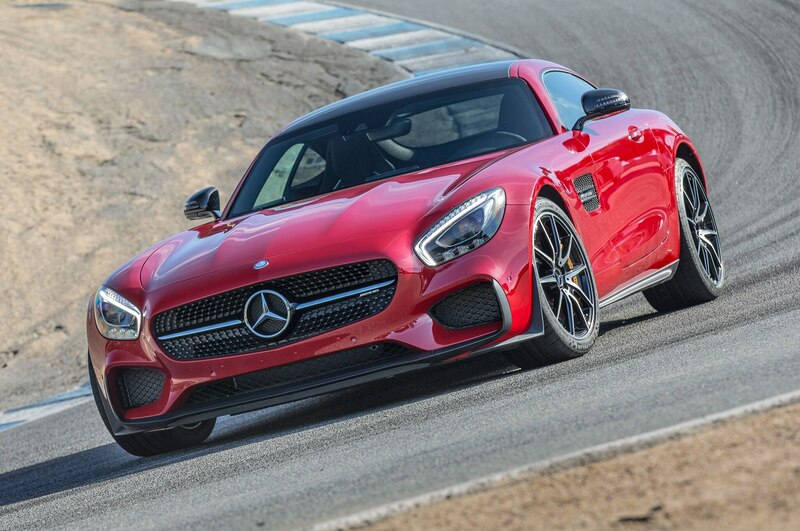 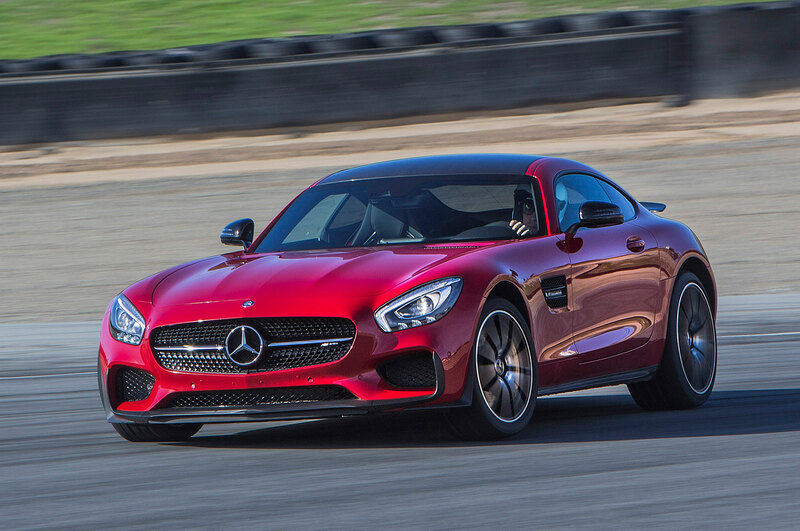 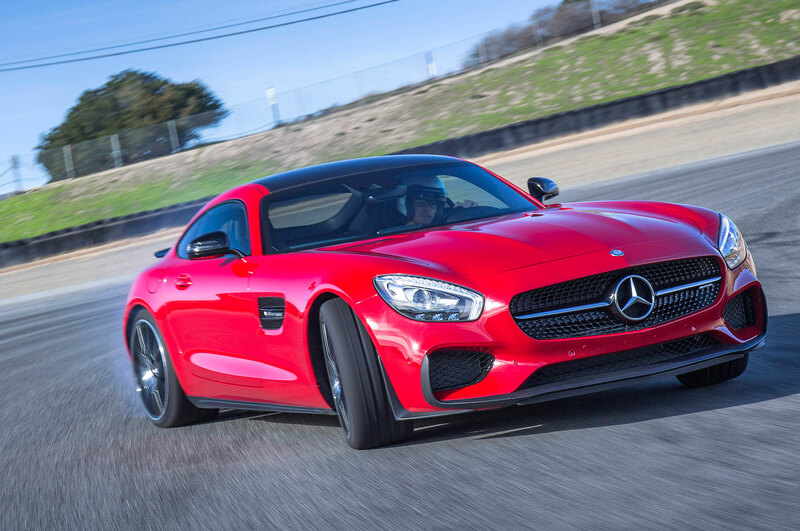 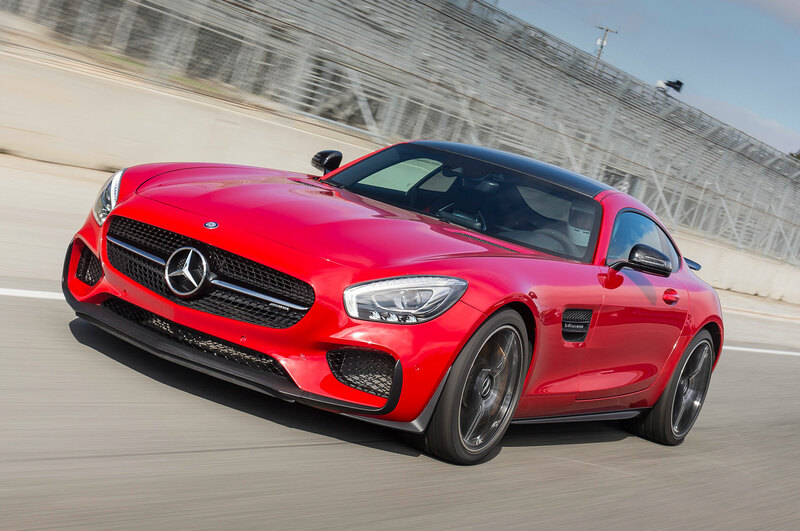 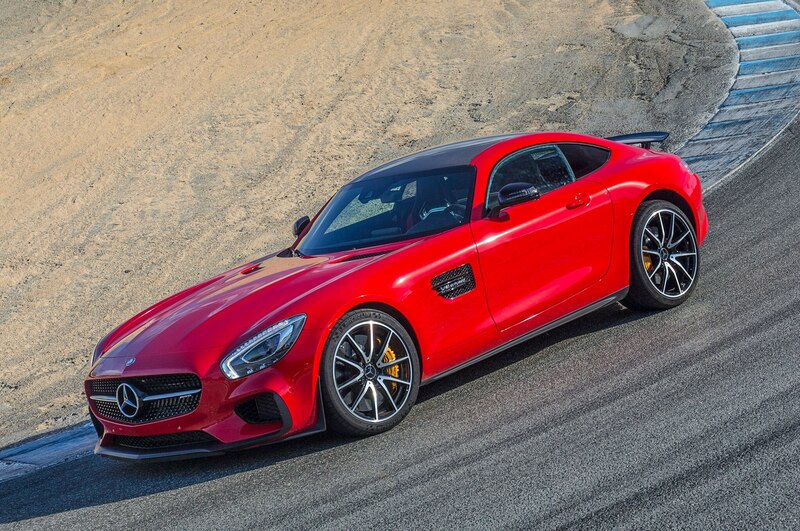 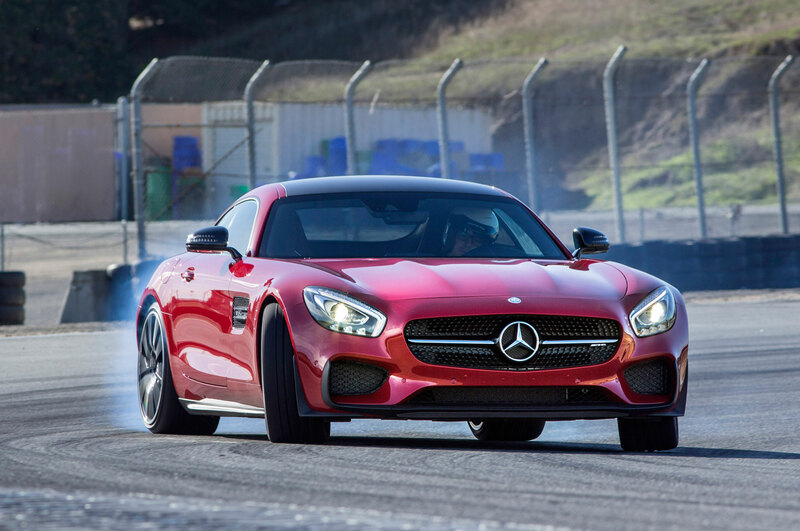 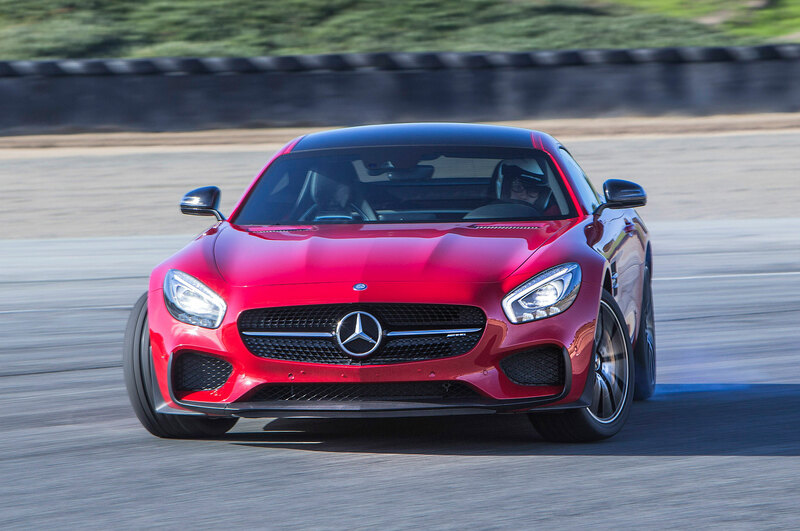 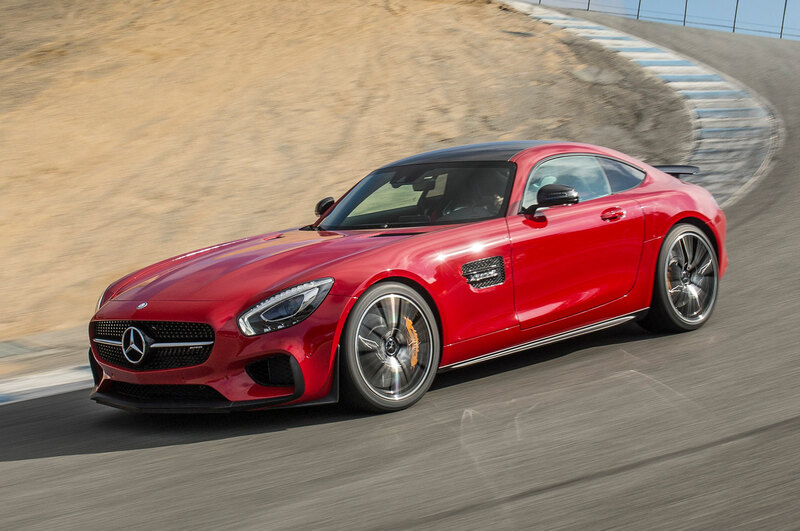 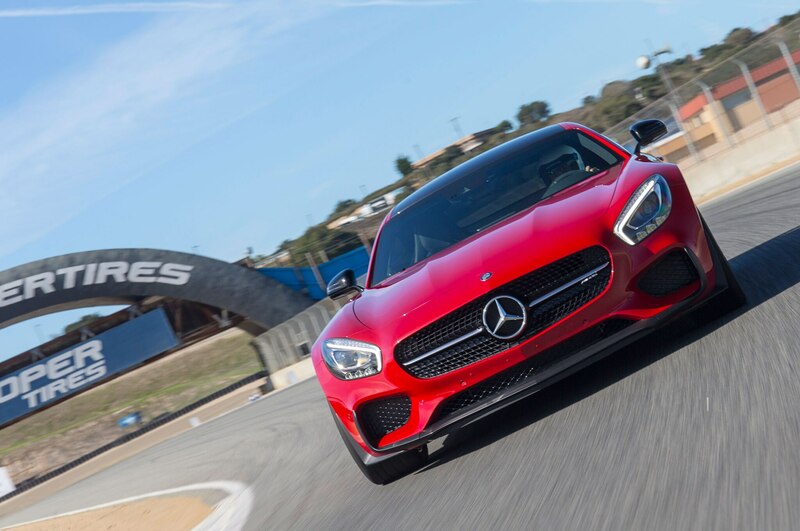 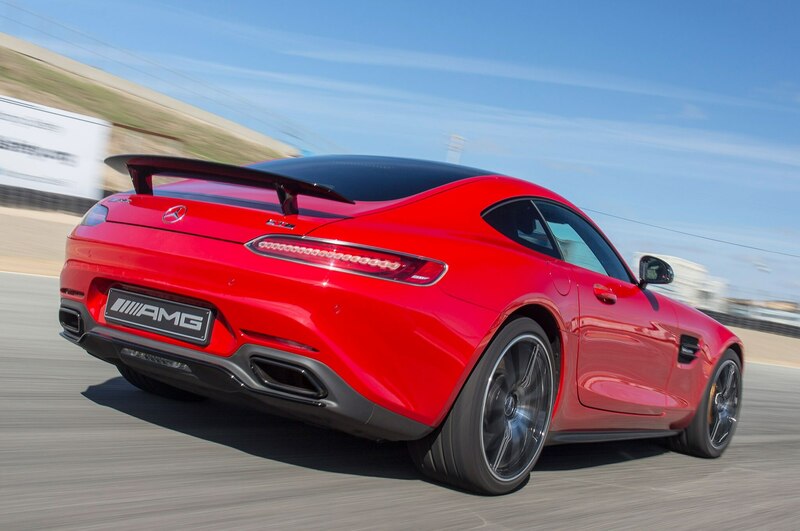 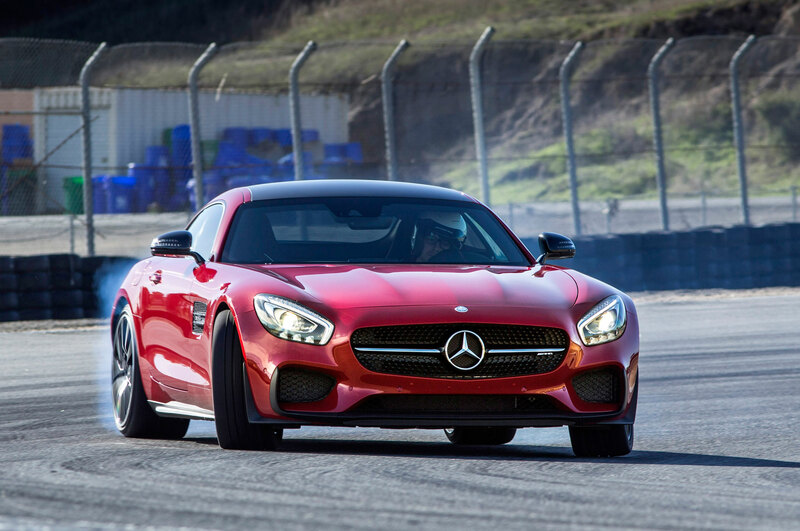 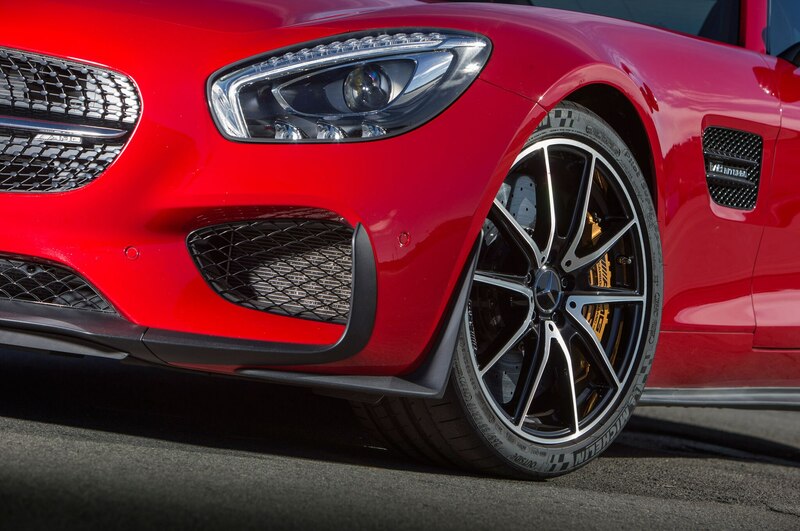 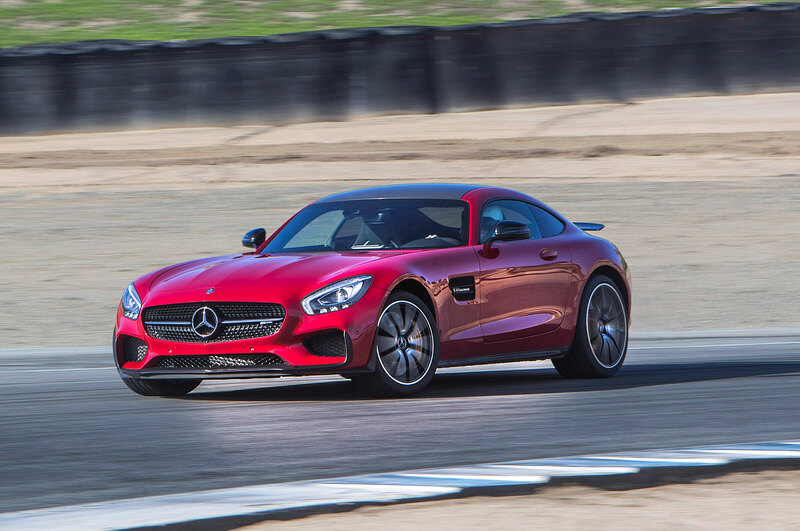 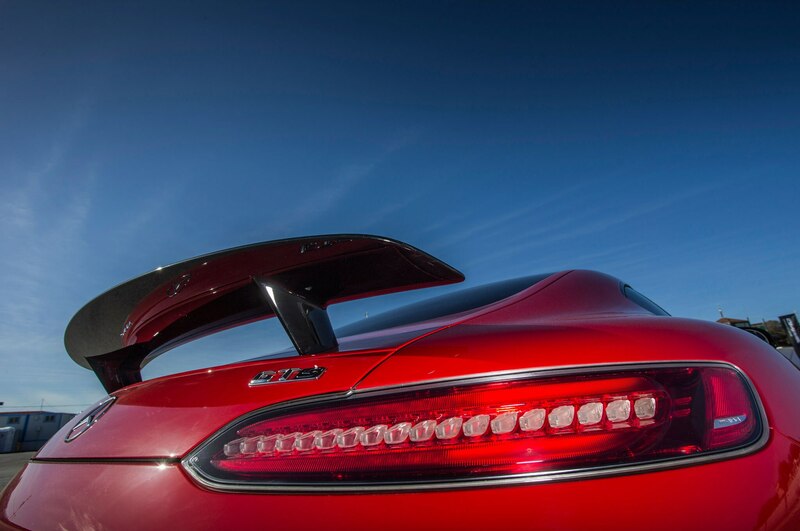 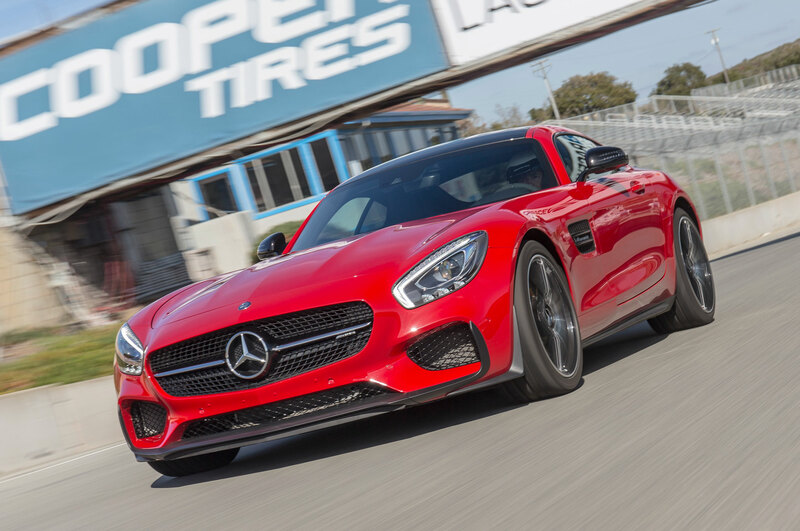 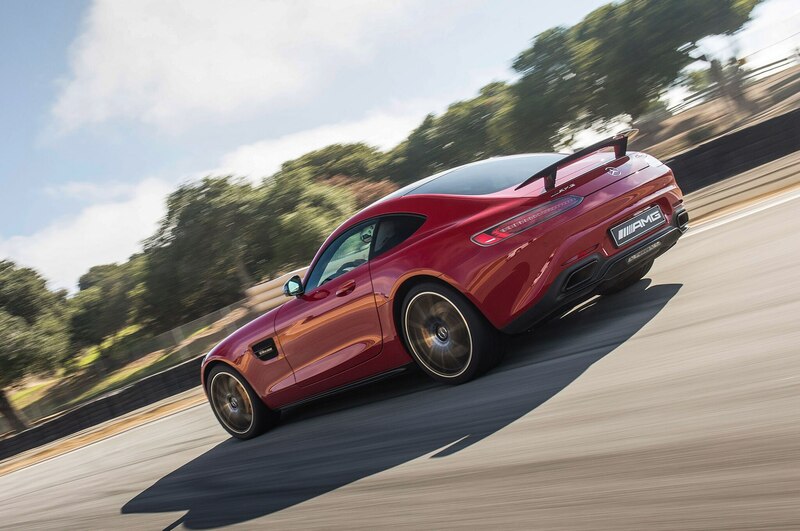 The 2016 Mercedes-AMG GT S is only some 175 pounds lighter than the SLS. 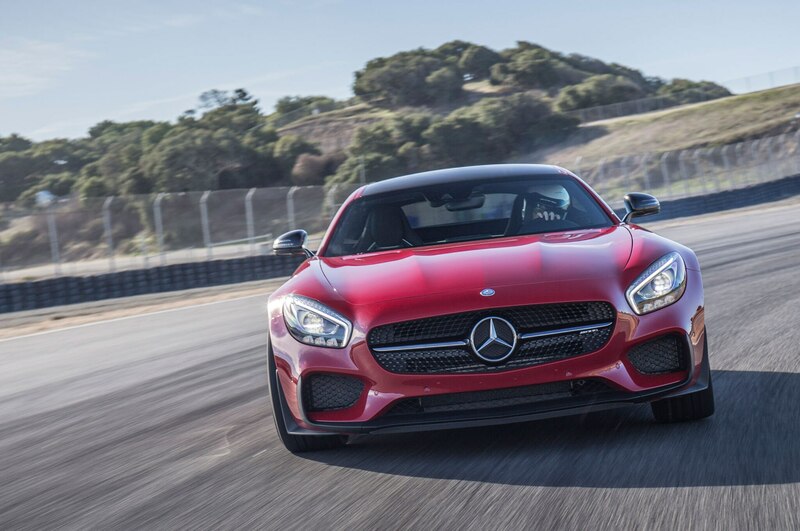 Get back on the gas and trust that the car can drive right out of it, and it does. 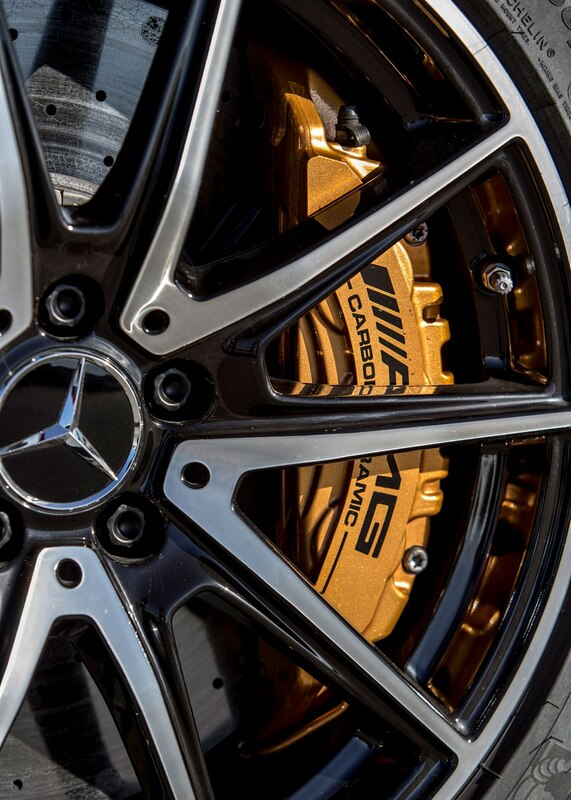 At the end of the day, I drove up out of the bowl just as the falling golden light illuminated the hills, a wondrous fusion of place and machine. 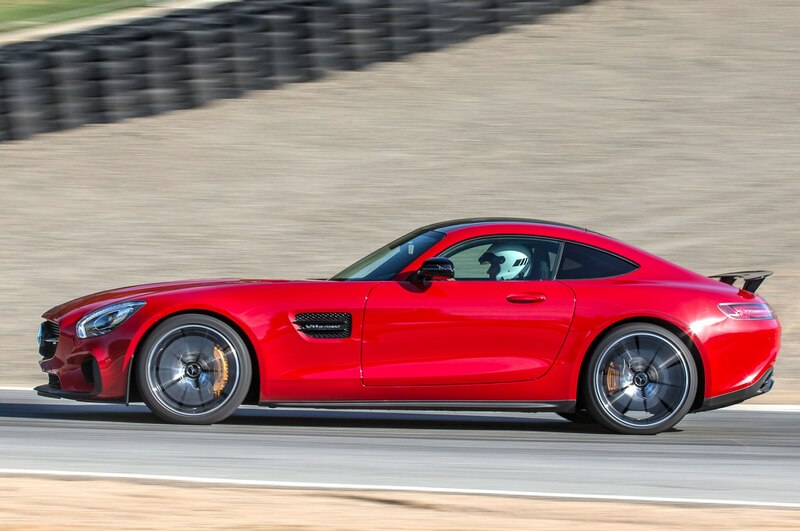 The Mercedes-AMG might have been created in Affalterbach, Germany, but I’ve got to believe somebody had Laguna Seca in mind all along.